Victoria Goodman Nutrition Counseling constantly strives to provide the highest level of service and at the most efficient cost for you. To achieve this goal with nutritional supplementation, Victoria Goodman Nutrition Counseling has partnered with Douglas Laboratories as our supplement manufacturer. 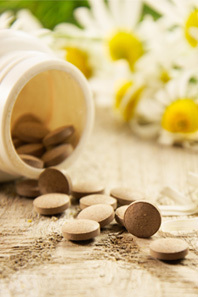 It is extremely important at Victoria Goodman Nutrition Counseling that our supplements pass rigorous testing so that we know you receive the same reliable composition from bottle to bottle, capsule to capsule. Unfortunately, regulatory standards for over the counter nutritional products is minimal and potency can be variable from dose to dose. 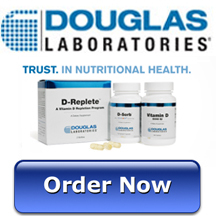 At Douglas Laboratories, you can be assured that each and every supplement is produced of the highest quality. Only the purest materials are used. Raw materials used in the manufacturing of their products are in full compliance with the Public Health and Security and Bioterrorism Preparedness and Response Act of 2002, assuring safety and uninterrupted flow of raw materials. Their VCP (Vendor Certification Program) ensures raw material safety and quality. Trust Douglas laboratories for best in class, science- base dietary supplements manufactured exclusively for health care professionals. Douglas laboratories are proud to offer one of the largest and most innovative selections of over 600 premium- quality products. These physician grade products are gluten- free and they are made in Pittsburgh, Pennsylvania. Order online anytime of the day from the comforts of your home, seven days a week. Go to Douglas Laboratories website and click on “create an account”. Then, enter your unique login information and gain access to online ordering. When setting up your account for the first time, please use the number 2274208 in the “Professional Fulfillment” box. Order by phone: Select your products and call 877-666-6408 to speak to a Customer Service Professional. Please use 2274208 Professional Fulfillment Number. Multivitamin: Basic Preventive 5. (BP5-C) These capsulated multivitamins are cold- pressed to allow for easier absorbtion. 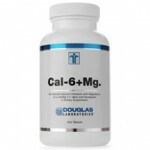 Calcium: Cal-6+Mg (7015- 250X) This elemental formula adds magnesium for improved absorbtion. 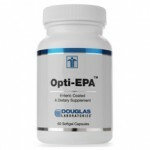 Fish Oil: Opti- EPA enteric coated (99276-60X) High in EPA, this supplement supports cardiovascular health, immune system support and inflammatory support. Since it is coated, there is no “fishy “taste. 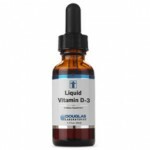 Vitamin D: Liquid Vitamin D-3 (200039-30X) This liquid form of Vitamin D is perfect for those who do not like to swallow supplements in a pill form. Please click on the "Order Now" button above to sign up and starting ordering. Please use 2274208 as the fulfillment number.